Mart Crowley's 1968 play is being given an excellent revival in London. I saw it yesterday. It's definitely (thankfully) dated, but it is still powerful and reminds us of the pre-Stonewall, pre-AIDS era in which it takes place. Some have written that this play contributed as much as anything to the anger which finally boiled over at Stonewall, thus attributing to a work of art a real-life action that changed the world. The self-pitying "queens," mirroring society's view of them, had had enough. "The Boys in the Band is of value not as a catalogue of antiquated outrageous behavior, but as a sharp description of a kind of moment: right before the explosion, right before the spark that ignites the revolution, the moment that the clawing and the pecking and the scrabbling inside the egg begins, but before the shell begins to shatter. What the play captures is how disconcerting, how weird, how awkward and uncomfortable these pre-explosion moments are, when brooding rage and potent but as yet inchoate violence deranges and paralyzes those who have not yet found agency, whose souls and psyches are straining with abrasive, enervating tension toward release." "The Boys In The Band" can never grow "old". It is a genuine piece of stage dynamite. I absolutely love this play/movie. I saw the original off-Broadway version, in the summer of 1968. Before STONEWALL. It was everything you go to a play for (at least, back in the day). It taught you things. It challenged your assumptions. It took you into a different world. You could relate to it. Also, the funny thing about the stage-play with the original cast, was that HAROLD was not the dominant character. Neither was MICHAEL. The domineering (and frightening) character was EMORY (Cliff Gorman). In that small space (an off-Broadway theatre), no one had any idea what EMORY would do or say next. He seemed to run the whole show. ANYTHING could happen. There was nothing "cute" or "silly" about EMORY. 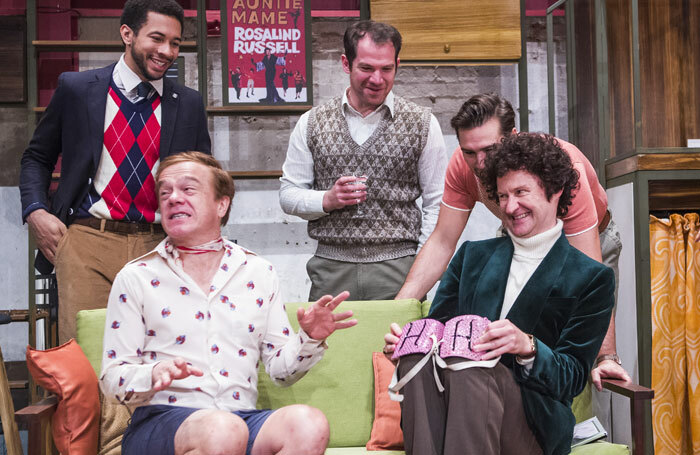 What made the play - and the film - so special is that almost all of the actors were "homosexual". An overwhelming/overpowering "gay aura" hung over the play and the film. In the recent London revival (it finished last week), Harold is played by Mark Gatiss. His real-life husband Ian Hallard played Michael. Emery's role was large, but I think Michael comes across as the lead, in a play with many juicy roles of equal size. 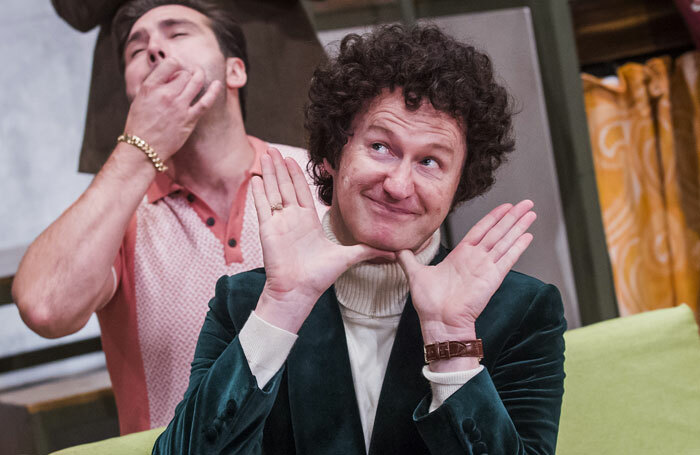 In the recent London revival (it finished last week), Harold is played by Mark Gatiss. His real-life husband Ian Hallard played Michael. Emery's role was large, but I think Michael comes across as the lead, in a play with many juicy roles of equal size. Here's a link -- scroll down for some photos of the production. Is there any chance that this revival will travel to us via a Broadway production? I doubt it, though a revival here would be welcome. Some lesbian action in Shakespeare in London: Twelfth Night at the National Theatre has a lesbian Malvolia; Othello at Shakespeare's Globe/Wanamaker has a lesbian Cassio (Michelle Cassio, instead of Michael). Which means Othello is consumed by jealousy because he thinks Desdemona is having an affair with a woman. 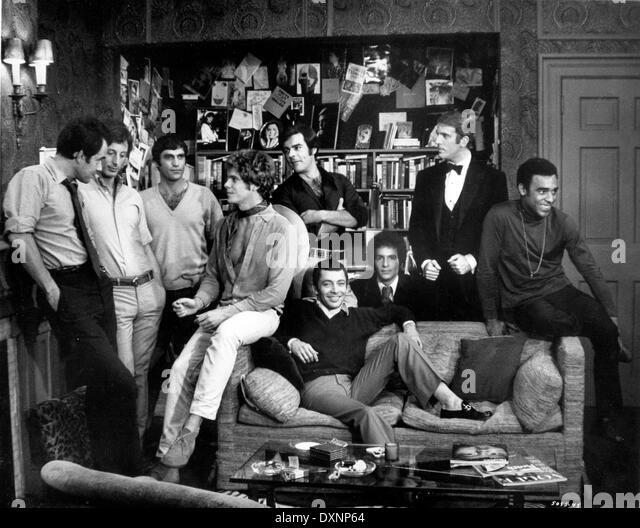 There have been two Off-Broadway revivals of "The Boys In The Band" - the last one was done by The Transport Group, which took place in a vast "living room" in an actual loft in which the audience was seated within the confines of the action. I do not think that the film will ever be re-made. First of all, you could not duplicate those performances. Has anybody ever seen the sequel to "The Boys In The Band"? The title is, I believe, "The Boys From The Men". It has been staged on the West Coast, I think. I didn't go, since I had seen the excellent London production last year. But friends who went enjoyed it very much. It seemed to me that they cast too many pretty boy stars for the Broadway revival, and I think some of the reviewers reflected that opinion as well. I am surprised at the limited run of the current Broadway revival. It deserves to play for years on Broadway. I saw the current revival - the play is performed without an intermission. At the end of performance that I saw, Jim Parsons, who plays Michael, looked exhausted. Not long after, he had his on-stage accident. God knows, there are plenty of gay actors who can keep this production on Broadway for years. Stars, or names, are not needed. The play can sell itself. They're crazy - when the original actors leave, bring in new actors. I've deleted some words from the initial title of this thread, which I had begun when I saw the London revival of the play in February 2017. So now the thread title more accurately describes the content of the thread, which (as it should be at this point) is all things concerning all productions and issues related to The Boys in the Band. I can only wonder the reason or reasons for the fact that the revival at The Lucille Lortel Theater hasn't become more famous. It starred David Drake, David Greenspan, James Lecesne and Christopher Sieber. Perhaps it wasn't a successful revival. Or it had too limited a run. I'd love to see a videotape of it. The boys in the band [videorecording] / Kardana Productions, Steven M. Levy, Dennis J. Grimaldi, WPA Productions, Charles Hollerith, Jr., Randall L. Wreghitt, by special arrangement with Lucille Lortel, present the WPA Theatre (Kyle Renick, artistic director) production ; [written by] Mart Crowley ; directed by Kenneth Elliott ; [video prod. company] Parker/Hodges Productions ; [video producer] Theatre on Film and Tape Archive, Betty L. Corwin, director. Description 3 videodiscs (DVD) (135 min.) : sd., col. ; 4 3/4 in. Note Copy of program available. Access Restricted to qualified researchers. Credits Setting by James Noone ; costumes by Suzy Benzinger ; lighting by Phil Monat ; sound by John Kilgore ; prod. stage manager, Chris De Camillis. Cast David Bishins, Robert Bogue, William Christian, Scott Decker, David Drake, David Greenspan, James Lecesne, Sean McDermott, Christopher Sieber. Event Videotaped by The New York Public Library's Theatre on Film and Tape Archive at the Lucille Lortel Theatre, New York, N.Y., Oct. 10, 1996. Was it 22 years ago? 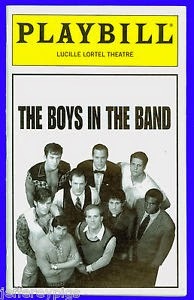 A friend of mine - and me, too - are thinking about going to see "The Boys In The Band" at the Booth Theater in August. But the orchestra seats are $200 each. When will theatergoers say "No!". The play, which had a short run, will close on August 11. Yes, then, I wouldn't think twice about going.